Strengthens to maximise volume. For fine hair. Safe for colour treated hair.Strengthen fine hair to maximise volume & vitality. This shampoo, with Protein-Strength Complex, brings protein-deficient hair into balance by unlocking a new level of volume. Directions: Gently massage into wet hair and rinse well. 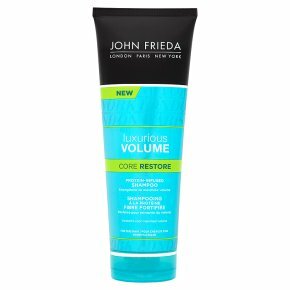 Follow with Luxurious Volume Core Restore Conditioner.